SS Series Stainless Steel Castors with a Polyurethane Wheel are ideally suited to medical and food manufacturing environments. 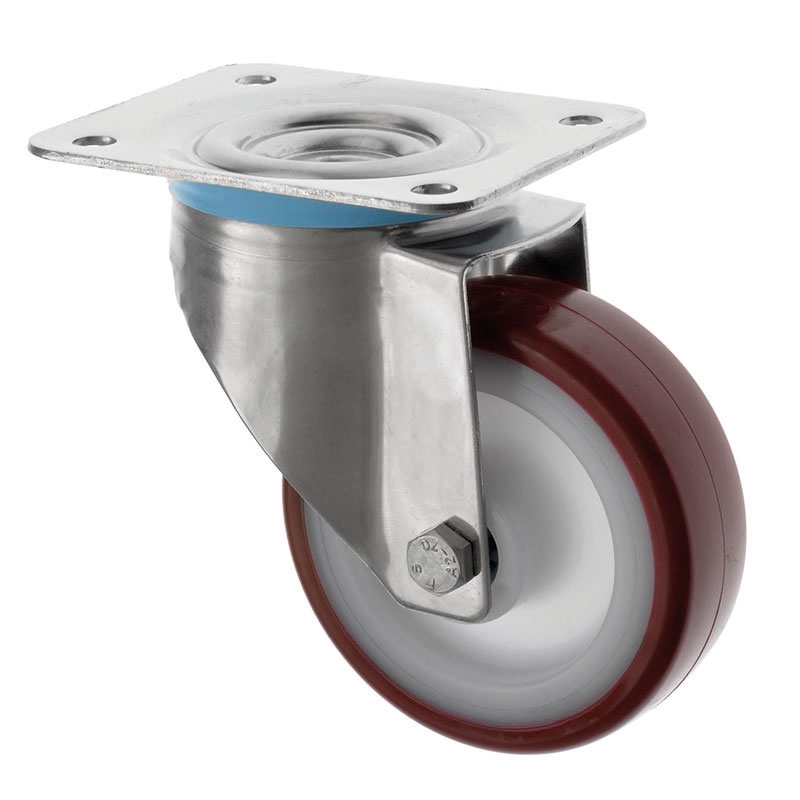 These stainless steel top plate castors with durable polyurethane wheels are available in five sizes, and the anti corrosive properties means these castors can be used in out door environments. These versatile stainless steel castors can be supplied either as swivel castors, fixed castors or with brakes.